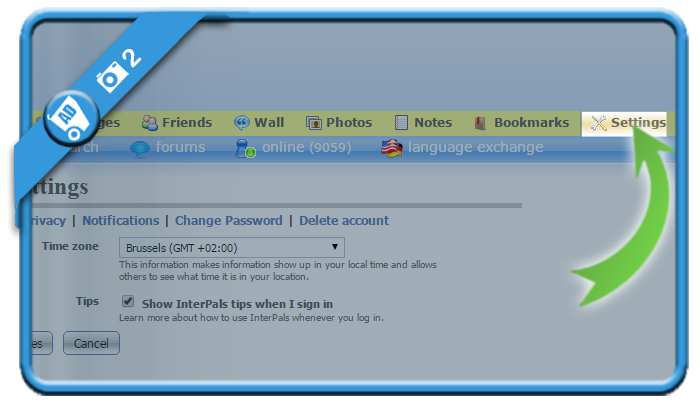 Interpals helps you to find new penpals from all over the world. 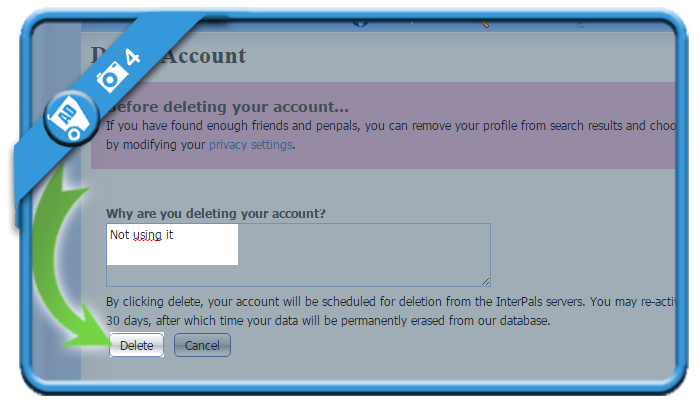 But when you’re not writing anymore, you might be considering to close your account. 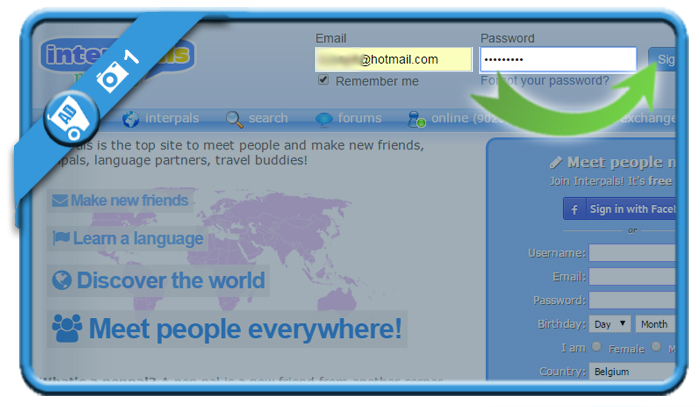 In that case: Don’t look further, because I’m about to explain how you can do that in the Settings of your profile. 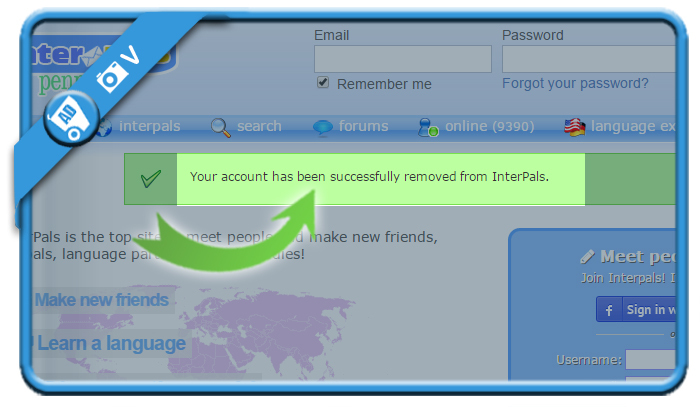 By clicking the remove button now, your account will be scheduled for deletion from the InterPals servers and will be permanently closed after 30 days. 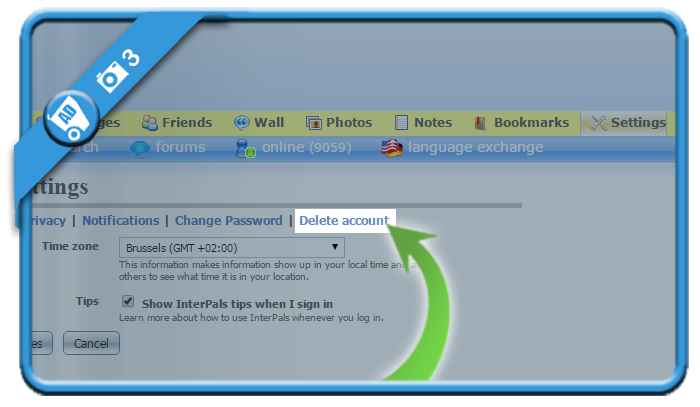 To prevent spam and other abuse of our system, you may delete your account only after it has been active for 7 days. We apologize for the inconvenience. I am on my 7th day, do I need to wait a few more days.